I wish I could tattoo this article on my forehead so that I could get this message out more quickly. I have seen so many dogs who defy their "breed traits". My first dog was a husky (and thought I don't recommend this breed as a first time breed for everyone) for me he was an excellent dog who was very social, got along great with my cats (who we got when he was 3 years old, not a puppy), and had a really good recall (95% of the time), and who I had trained as a therapy dog. This article says all I have been trying to tell people for years! I just wish I could get law makers and those who are to full of fear to understand. All dogs are individuals. You’ve heard us say this again and again. It is the core principle of the work we do here at Animal Farm Foundation to secure equal treatment and opportunity for “pit bull” dogs. But what does it really mean? All dogs are individuals means: We owe it to all dogs to see them for who they really are, free of prejudice, stereotypes, and assumptions that are based on a known pedigree, a breed label guess, physical appearance, or their past history. Every dog is an individual with a distinct set of needs and behaviors that are determined by a wide variety of factors: genetics, breeding, socialization, training, management, and environment. The only way we can accurately determine what a dog needs are is to look at the individual dog in front us for the answers. In other words, we can’t judge a book by its cover (even if that cover looks like other ones we’ve seen before)! What’s the opposite of all dogs are individuals? It’s assuming that dogs that look alike or have the same breed label, will act alike or have the same needs. Does “all dogs are individuals” apply to pure bred dogs? Yes. Dogs are not identical twins, even when they are the same breed. Pure bred dogs do not share identical DNA and like all dogs, their personal experiences (training, socialization, and environment) all influence and contribute to who they are. Breed and genetics are one piece of the puzzle, not the whole thing. In this video, Dr. Kristopher Irizarry, a geneticist, discusses the genetic basis for why dogs that look alike do not necessarily act alike. Further, even pure bred dogs that are born of the same litter and raised in the same house can have different personalities. They are individuals first, genetics second. Are you saying that breed traits don’t exist? No, it simply means that every dog is an individual FIRST. In order to fairly and accurately evaluate a dog, we must look at the dog in front of us as an individual first. An individual dog may or may not conform to breed traits. Breed related traits are not guaranteed. If a dog does conform to breed traits, that does not mean a dog isn’t an individual! Breed characteristics may contribute to a dog’s individuality, but they are not the whole story. Does “all dogs are individuals” only apply to dogs labeled “pit bulls”? No. Every dog is an individual, no matter what size, shape, age, breed or breed mix they may be. A professional dog trainer assess her pure bred Akita as an individual, rather than relying only on breed standards that suggest he will be dog-dog aggressive. By looking at her dog as an individual first, breed second, she recognizes he is very dog social. She does the same for her Pug and discovers her short nosed, flat faced dog is great at scent tracking. Many Greyhound rescues choose to see their dogs as individuals. 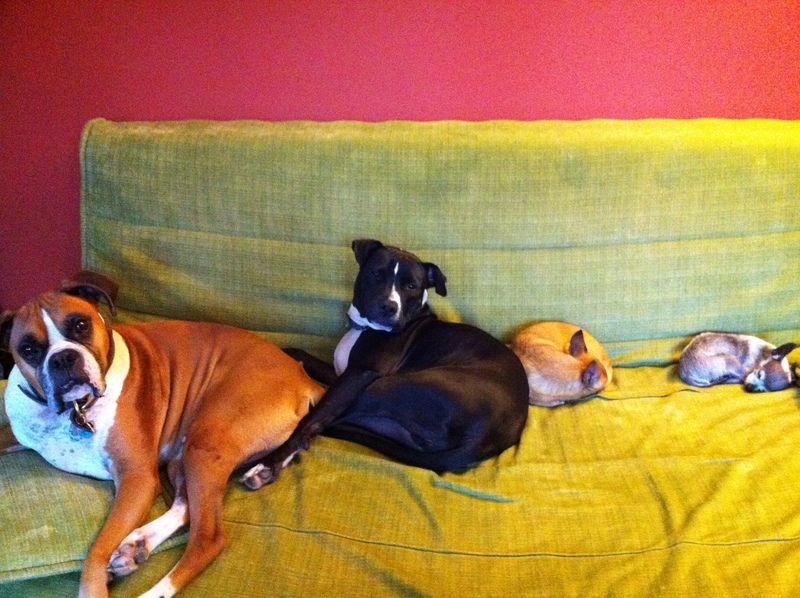 It is often assumed that ex-racing Greyhounds cannot live with cats or small animals, due to their breed’s prey drive. Rather than relying on breed standards, rescues evaluate the dogs individually. By looking at them as individuals first, breed and past history second, these rescues acknowledge that dogs that look alike do not necessarily need the same things. This opens the potential adopter pool much wider by removing blanket policies (no cats, no small dogs) and replaces them with individual matchmaking. Small dogs are individuals too. 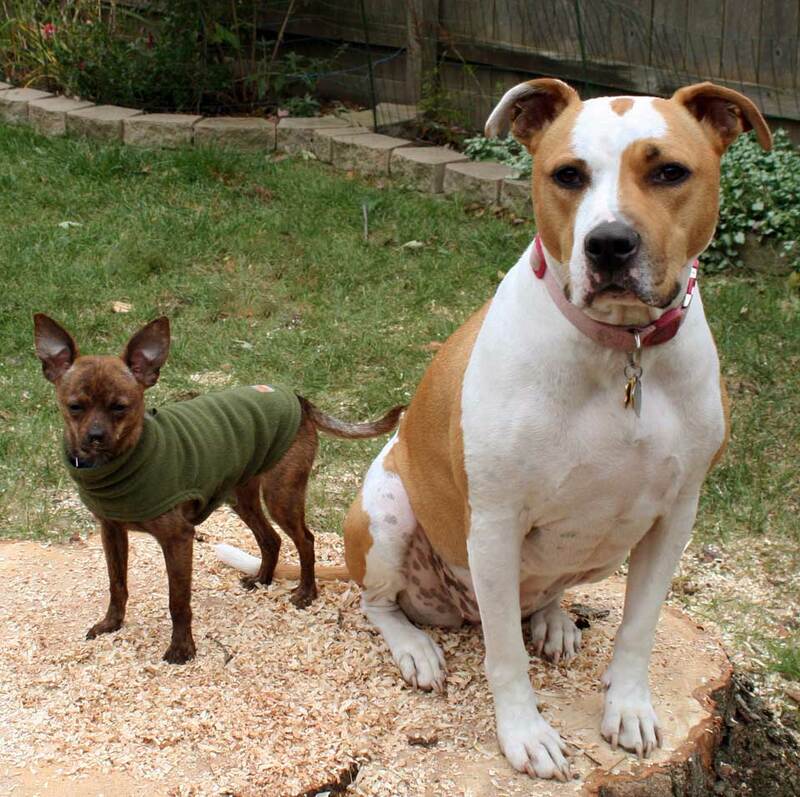 Just as we do not condone stereotyping “pit bull” dogs, we do not condone the stereotyping of small dogs. To be clear: it does nothing for “pit bull” dogs when we speak negatively of small dogs, such as Chihuahuas. It undermines ALL dogs when we allow stereotypes and prejudicial thinking to be perpetuated. Chihuahuas are individuals first, breed and size second. For example, Chihuahuas are competing (and winning) in agility trials, despite stereotypes that they are difficult to train. Watch this video of a 15 year old boy and his Chihuahua earning their agility title. And meet this senior citizen (yes, all people are individuals too) who, using a walker, competes with her pack of small dogs. Why does this matter? In order to understand why “all dogs are individuals” is so important, we must take the near and far view. In terms of everyday families, recognizing your dog as an individual means that you will get to know the dog in front you, rather than assuming that because they look like another dog or are labeled a certain way, they will act the same or need the same things. By looking at the dog in front of you and seeing them as an individual first (breed, past history, etc. second), you will be able to set them up for a successful family life by tailoring a training, management, and care routine to their specific needs. In the big picture, recognizing dogs as individuals means putting an end to blanket polices that are based on stereotypes, generalizations, and false information. For shelters and rescues this might mean that, rather than relying on a blanket policy that prohibits all Greyhounds from being placed in homes with cats or Akitas with other dogs, they will get to know Greyhounds and Akitas as individuals and then match them with appropriate homes. Some may need a feline or canine-free home, others will not. By evaluating them as individuals, it opens up the pool of potential adopters and more lives are saved. For politicians and law makers, this means putting an end to laws passed on the flawed idea that you can determine how a dog will act based on how they look or their breed label. So, rather than instituting bans on “dangerous dog breeds”, they will instead focus on creating and enforcing responsible pet ownership laws that hold ALL owners equally accountable for their individual dogs, thereby creating truly safe communities. 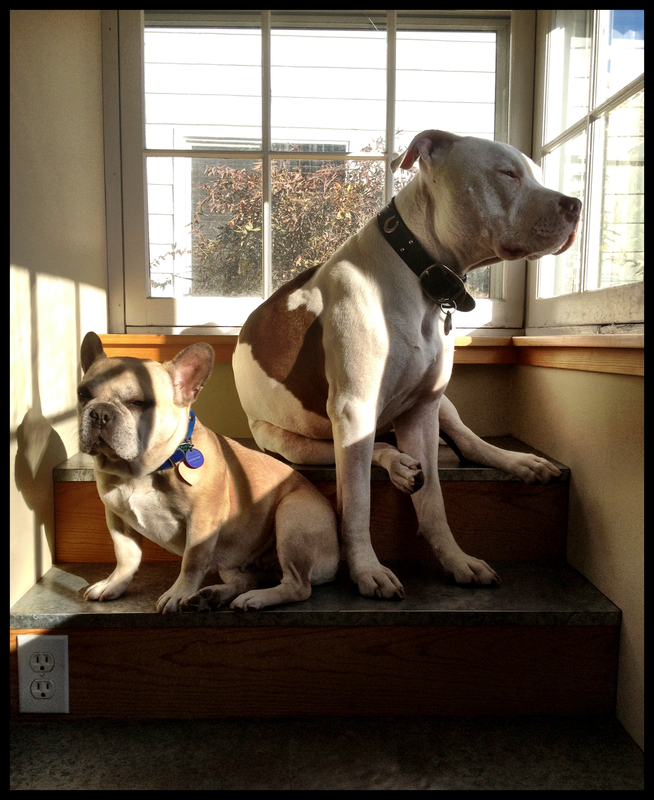 Dogs will be labeled “dangerous” based on their actions or behavior, not based on breed label or physical appearance. Dogs will no longer be persecuted based on stereotypes. Treating all dogs as individuals means that we let go of biased thinking, recognizing each dog for who they really are, not who we assume they are based on looks, labels, or past experiences. In doing so, we set all dogs free of the baggage and consequences caused by our assumptions, prejudices, and discrimination. All 4 on the floor! I love this quote! In almost every class I have I make sure I stress the point of it being ok to talk to your dog in a happy voice or a use your silly tone. You make feel silly to do so in front of others, but really when you stop and think about it, what do you really think when you see someone else talking to their dog? Do you think to yourself "What an idiot " Or do you see and either not think twice about it, or think "oh what a good dog owner", or "what a lucky dog." I bet you pick one of the three last ones, because no matter what anyone else tells you, deep down you know believe this. Don't be afraid to talk to them, they really do understand, maybe not always exactly word for word what you mean, but they understand your meaning. HAPPY THANKSGIVING EVERYONE, from us here at Sit Spot Click! The more I learn, read, watch, and hear from others, the more I believe that the "Dominance Theory" (is your dog trying to dominate you, or is there something else going on) holds some truth, but not enough to simply say "your dog is trying to be the dominant one in your pack, therefor teach him a lesson, make him see that you are the leader and he is the subordinate". In my gut I just don't feel that is right. Granted I have seen plenty of dogs (and heard stories of plenty more) where it sounds like the dog thinks (and does) run the house. But is that because you have failed to teach your dog proper responses and the rules of the house? Much like a young child, dogs need, and want rules. If you are not the one who makes up the rules to the game of life, then your dog will, simple as that. Dogs are locked in a phase of development where they never reach the maturity level of a full grown adult wolf would. Sort of a "Peter Pan" syndrome of the wolves. Therefore their behavior and their mental abilities to think like the wolf (form dominance thoughts regarding you and your house) does not work in the same way that an adult wolf's thoughts would. Should We Revive the Concept of Dominance in Dogs? Dr. Roger Abrantes is a well-known figure in the dog training world. He holds PhDs in Evolutionary Biology and Ethology. He is the author to 17 books, written in English, German, Spanish, Danish, Swedish, Norwegian, Italian, and Czech, and is one of the most versatile ethologists in the world. In a December post, "Dominance: Making Sense of Nonsense," on his personal blog, Dr. Abrantes proposed that we stop denying that dominance exists in dogs and wolves, and set out to remedy the "nonsense" by a) demonstrating that dominance does exist, b) establishing that if dominance exists in wolves it also exists in dogs, c) presenting a "precise, pragmatic and verifiable definition of the term," and d) show that "even though a good relationship does not rely on continuous displays of dominance ... [this] does not imply that dominance does not exist." Clearly Dr. Abrantes is a lot smarter than I am. He holds multiple degrees, speaks seven languages, and is a world-renowned lecturer on animal behavior. I'm just a simple dog trainer, with no academic background, and only a smidgen of high-school Spanish under my belt. ("Donde esta la bibliotec?") So when Dr. Abrantes makes a proclamation of this kind, it's important to pay attention. To prove that dominance does exist, Dr. Abrantes says, "It is absurd to argue that dominance does not exist when we have so many words to describe whatever it relates to." I'm not sure that's a reasonable argument. After all, there are thousands or words to describe the idea of God or some form of deity. Does that stand as a rational, scientific argument that such deities exist? Mind you, I would agree that there is a recognizable form of social behavior, seen primarily in humans and primates, that may properly be described as dominance. It relates to the use of force, power, status or some other form of influence to control the behaviors of group members that rank lower on the social scale. Schools, governments, and the military are top-down systems. However, there are many other systems—in humans on down—that don't operate through dominance. And while we certainly see similar types of behaviors in canines and primates, the motivations for these behaviors may be quite different. On the next point, Dr. Abrantes says that "Recent trends claim that ‘dominant behavior' does not exist in dogs... There are two ways to argue in favor of such thinking. One is to dismiss ‘dominant behavior' downright ... [the other] is to claim that wolves and dogs are completely different and that therefore, even though we can apply the term to explain wolf behavior, we cannot use it to describe dog behavior." I would agree that if dominance can rightly be applied to wolves, it couldtheoretically be applied to dogs as well. And yet if dominance and submission are a product of pack living, and if pack formation is a function of prey size -- where, for example, coyotes sometimes form packs, but only when they need to hunt large prey -- it's possible that when we see such behaviors in dogs, who even in feral groups don't normally hunt large prey, then these behaviors may be similar to those seen in wolves yet they might not be motivated by the same adaptive pressures that affect wolf packs. Abrantes's third point was to give a clear definition of dominance, which, in part, is that it's all about gaining or controlling access to resources, or "what an organism perceives as life necessities." This seems eminently reasonable on first glance. Yet I have to wonder how a dog perceives anything as a "life necessity." Wouldn't such knowledge first require an understanding of what "life" is? If so, isn't Abrantes imposing humanlike thinking onto dogs? I think a more reasonable way of seeing this would be through the properties of attraction and resistance. A thirsty dog is attracted to water, a hungry wolf is attracted to prey. A dog or wolf doesn't think of H20 or a deer as a "resource." He simply feels a pull toward those objects of attraction. Gaining access to these things would reduce his internal feelings of tension and stress. And if he encounters resistance and can't gain access, then his stress levels would probably go up. Finally, Abrantes says that when wolves engage in dominant and submissive displays, rather than in outright aggression, they're showing a sound evolutionary strategy by not depleting energy needed for survival. He's quite right that it uses much less energy to flash one's fangs or roll over on one's back than it does to get into a knock-down, drag-out fight with one's packmate. However, a simpler and, I think, far more parsimonious explanation would be that these displays are simply polarized reactions to feelings of pressure across the pack as a whole. Those feelings have to be released (as in hunting large prey or, for dogs, playing tug-of-war). If there's no safety valve the pressure would build until it's released in some other way. In this schema, no one is thinking about dominating anyone else, making a cost-benefit analysis, or strategizing over who has access to this or that class of resource. They're all just offloading their individual feelings of pressure. I think dominance and submission in dogs and wolves should more simply be called direct and indirect approaches to objects of attraction. These objects of attraction would be synonymous with what Abrantes calls "life's necessities," but would also include large prey animals, where the pack works in harmony rather than sniping at one another. The wolf style of hunting has been called the chase-and-ambush approach, where some members of the pack go directly after the prey animal while others circle around, etc. If all members of the pack had a direct approach, the hunt would probably fail. If they all had an indirect approach, same deal. These two behavioral qualities would align quite nicely with the idea that dogs experience the world through feelings of attraction and resistance rather than thinking about resources, etc. There's another, more practical aspect to doing away with the dominance label. It's much easier for owners and trainers to think of ways to help a dog with stress-related behaviors than it is to figure out how to cure him of his "dominant" tendencies. That label sticks like a permanent scar, implying nothing can be done except to act more dominant (which rarely works, and even then, only for a limited time). But by simply calling these behaviors what they really are—symptoms of stress—a whole new world of opportunities for change opens up for us. "Natural Dog Training in New York City"
You should also note that if you do have a young dog (under 1 year) your dog can still be teething, even if you can see all the baby teeth have been replaced, just like your kids, your dog will get his back molars in. I suggest keeping an arsenal of rawhides, nylabones, and food puzzles on hand and rotate them so he doesn't have access to them all the time, they will get bored of them if they are left out all the time. As I have stated before, exercise is your best friend when it comes to having a well behaved dog. Yes that means even if the weather outside is looking a bit frightful (or at least colder than you like) you still should take Fido out for a walk, not only will it help keep you and your pup in shape, but it also helps keep the happiness in the bond with you and your new addition. Yup, that's right, remember that clicker that you used to teach Fido how to sit, or help in potty training? Guess what, teaching your dog something new uses as much energy as taking him on a small walk! So for those days when the weather really is too frightful to be out in, pull out your trusty clicker and teach your dog to ring a bell, jump over a broom set between a pair of chairs. You can find trick books at the petstores or at places like Amazon. Take some time each day and polish up "Heel" or "Leave it" Shoot for 10 minutes a day and you might just be surprised at how much better behaved your dog will be come spring! Everyone will be amazed at your wonderful dog!